When the van door slammed on Offred's future at the end of The Handmaid's Tale, readers had no way of telling what lay ahead for her—freedom, prison or death. 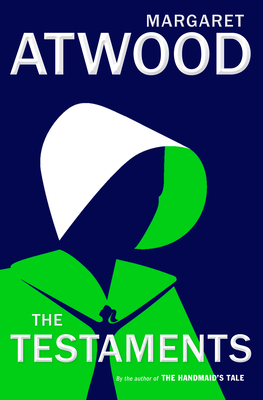 Margaret Atwood's sequel picks up the story fifteen years after Offred stepped into the unknown, with the explosive testaments of three female narrators from Gilead. Margaret Atwood, whose work has been published in more than forty-five countries, is the author of more than fifty books of fiction, poetry, critical essays, and graphic novels. In addition to The Handmaid’s Tale, now an award-winning TV series, her novels include Cat’s Eye, short-listed for the 1989 Booker Prize; Alias Grace, which won the Giller Prize in Canada and the Premio Mondello in Italy; The Blind Assassin, winner of the 2000 Booker Prize; The MaddAddam Trilogy; and Hag-Seed. She is the recipient of numerous awards, including the Peace Prize of the German Book Trade, the Franz Kafka Prize, the PEN Center USA Lifetime Achievement Award, and the Los Angeles Times Innovator’s Award. She lives in Toronto with the writer Graeme Gibson.